PSA: It comes to our attention that some Twitter scam are going on right now. Some scammers are replying to our twitts promising to give away coins if you send some coins to their address. Their post looks like it's come from our Twitter account. Don't fall victim to this scam. We are not giving away anything! Be careful! Wow. 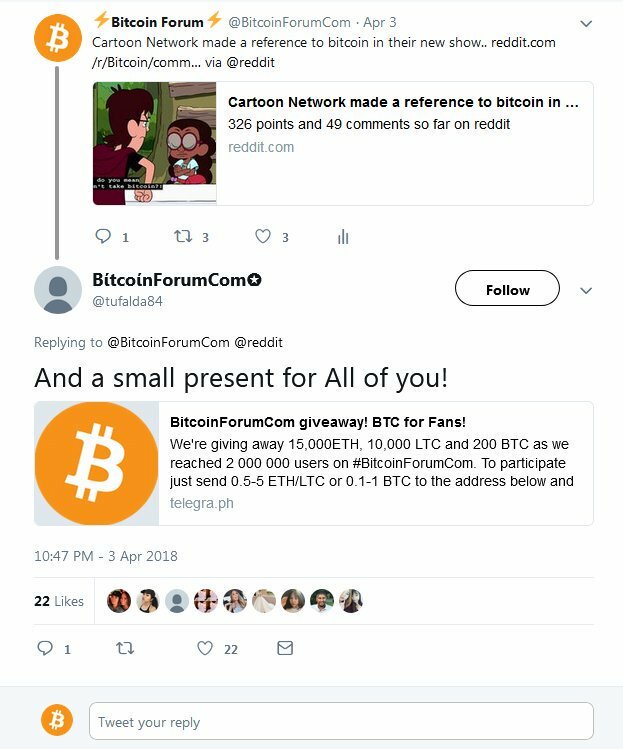 Those scammers have absolutely no shame, not only they pretend to be official accounts of cryptos (eth, xlm, pkt and almost every other crypto) and crypto traders but as bitcoinforum too? Money markets are full of scammers and they will try to attack you on any platform whether you are on a website, social media platform, or any where else. You need to stay sharp and patient before taking any decision related to your investments. Thanks!